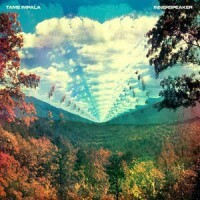 With previous sought-after single releases on Hole In The Sky and Modular, hotly regarded Australian psych-rock outfit Tame Impala finally deliver their debut long player, "Innerspeaker". The album delivers a heady swirling mix of 60s psych influences such as Love, Cream and a general West Coast stoner rock vibe, mixed in with contemporary acts like Animal Collective and Dungen, all underpinned with an infectious melodic and at times quite poppy groove. The guitars are fuzzy and the vocals washed to the back of the mix, giving an overall feeling of being lifted from a "Nuggets" outakes LP.